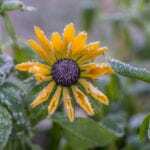 The first frost warning has come and gone. 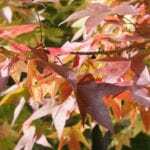 The busy gardening season in winding down and it is time to think about what needs to be done in the garden before snow arrives. 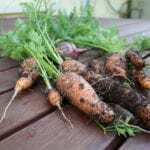 In the vegetable garden bring in the last of the tender crops and pull the spent plants. Mulch the cold hardy winter crops – like turnips, kale and cabbage – and cover the strawberries after hard frost ends the season. 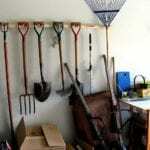 Do a general clean up around the garden. Pull the last weeds. Plant cover crops on mulch bare soil to slow the regrowth of new weeds in the spring. Clean up flower beds and borders. After the soil freezes, mulch beds, shrubs and around trees. Prune back perennials and spring blooming shrubs, but don’t prune shrubs that bloom in late summer and fall. Those can wait until spring. 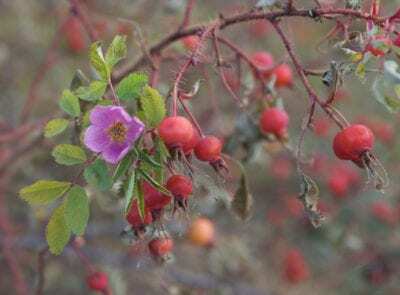 Consider leaving plants with seeds and berries intact over the winter. They can be a great food resource for birds and other wildlife, and will provide shelter. 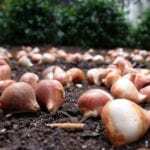 Plant bulbs! The spring flowering garden goes in the ground now. Tulips, daffodils, crocus and the multitude of others establish their roots in the winter before the cold weather dormancy. Put a little bulb food in each hole as you plant. It will be there in the spring when the plants surge into bloom. Lawn care now will pay off in the spring. Fall fertilizer and overseeding will reward you with vigorous growth and early greening next year. Keep the lawn free of packed leaves. Collect the leaves for composting or bag the leaves for recycling. Take care of the sprinkler system and hoses before freezing weather can cause damage. Have the sprinkler lines drained and blown out. 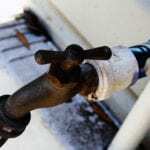 Turn off exterior water lines and bring in the hoses for the season. Take care of the trees. Water them well until late fall and through the winter when the weather allows. Wrap trunks of thin barked or young trees to prevent sun scald and chewing rodent damage. Wrap it all up with a day of tool maintenance. Clean and oil hand tools for storage. 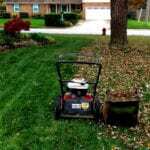 Have all mower and all the power tools serviced and winterized so you be ready to go again in the spring. over the winter for next year’s inspirations!